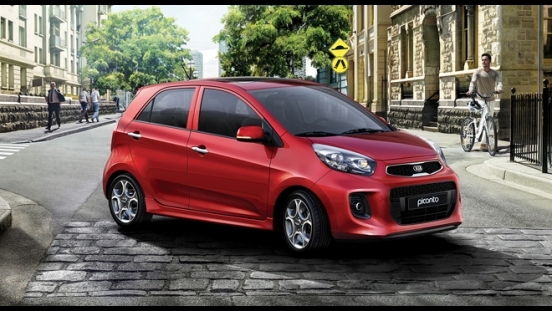 For a limited time only, you can drive home in a brand new Kia Picanto 1.2 EX AT with a P49,000 Low Downpayment Promo. 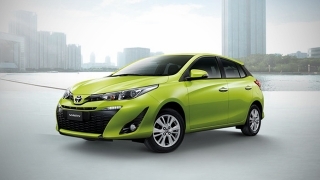 This deal is available at KIA Alabang, Greenhills, and Las Pinas. 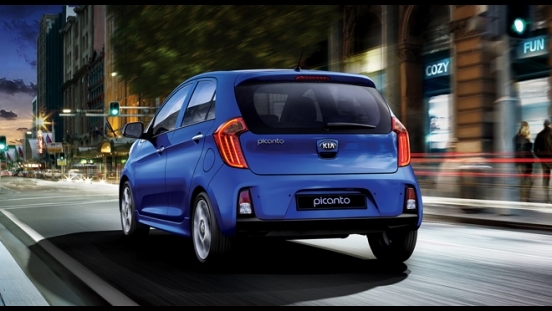 Priced at P650,000, the Kia Picanto is a stylish subcompact hatchback which is agile, light-weight, and economical. 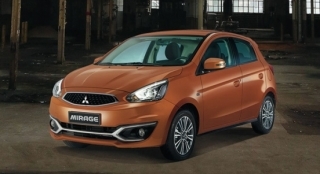 It appeals to a wide audience of prospective consumers due to its sensible ergonomic design, eye-pleasing aesthetics, and decently fitted cabin. 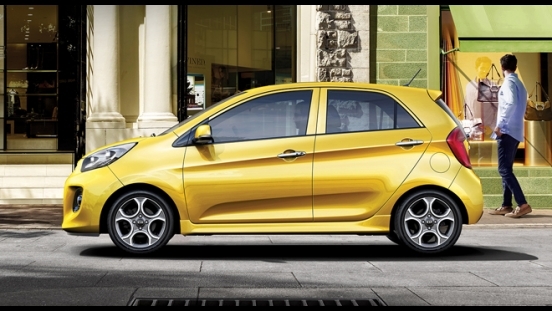 Under the hood, the Picanto's 1.2L KAPPA Gasoline engine which produces a maximum output of 87 hp and 120 Nm of torque and is mated to a 4-speed gate-type automatic transmission. 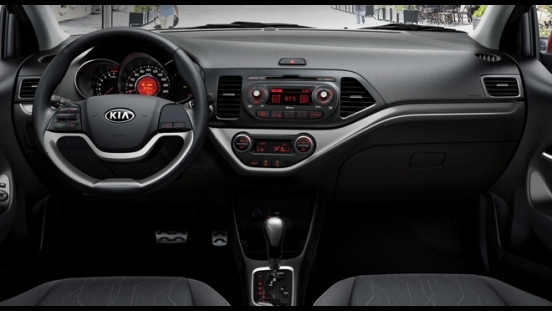 For entertainment, it comes standard with a 4-speaker audio system that can connect via USB ports, Aux, MicroSD, and Bluetooth. Safety and security features include immobilizer and keyless entry with alarm. 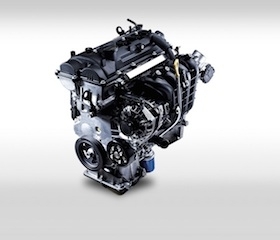 The Kappa 1.2 MPI Engine delivers a maximum output of 87 hp at 6,000 rpm. 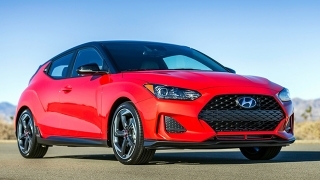 This engine ups the power but still delivers reduced fuel consumption and a smooth, quiet drive. The 60/40 split rear seat back is ideal when you need to carry unusual-shaped items (while still letting you carry three people of course). 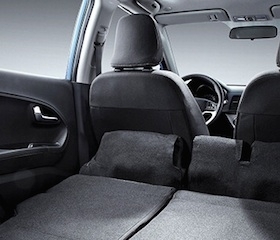 When it comes to sizable loads, you can fold down both rear seats and make use of the extra space. 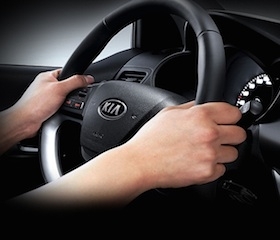 Convenient thumb rests on the innovative steering wheel are ergonomically positioned for optimum grip to provide a comfortable hand position that makes every journey a pleasure.